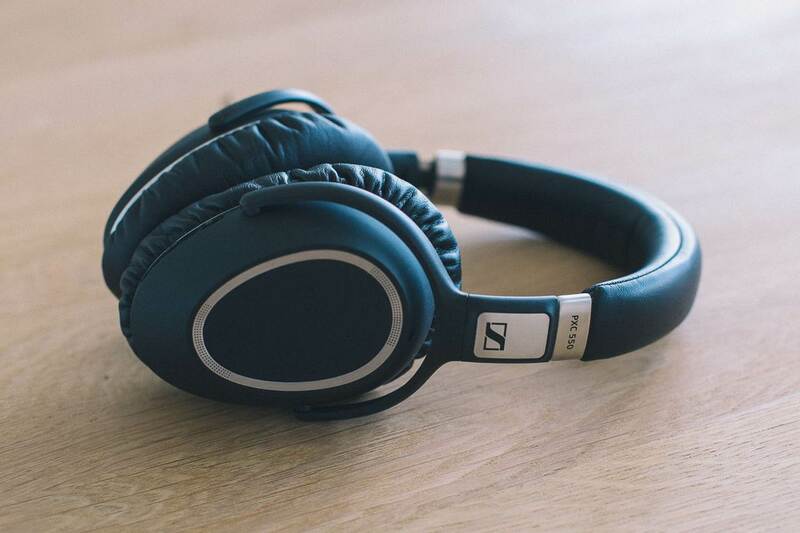 Here are our top picks for the best Bluetooth noise cancelling headphones of 2019 that deliver really good sound performance and can cancel up to 80-90% of background ambient noise. These headphones are designed with Bluetooth wireless connectivity so you can stream your favorite music to the headphones from your mobile device without the need for any wiring. They are the perfect noise cancelling headphones to have for travelling or to enjoy your music without background disturbance. They have built-in active noise cancellation that reduces background noise to a bare minimum while producing crisp and crystal clear sound quality. Be sure to check out our top picks for the best Bluetooth noise cancelling headphones below! 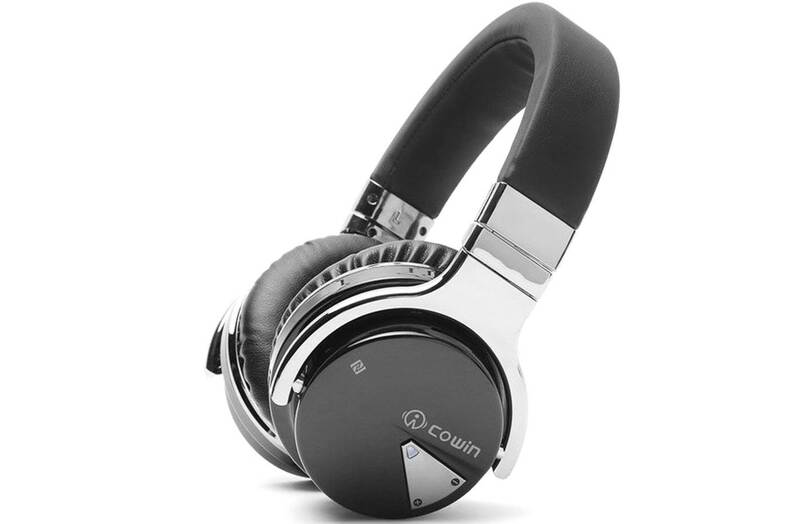 The Cowin E7 is a really good set of Bluetooth noise cancelling headphones that comes highly recommended. These headphones have superb active noise cancellation and 30 hours of continuous music playtime on Bluetooth mode. It comes with active noise cancellation technology which significantly reduces airplane cabin noise, traffic noise or loud conversations in busy offices for quiet listening. The noise cancellation mode works in both wired and wireless mode. It comes with proprietary 40mm large-aperture drivers that deliver really deep and accurate bass response and crisp vocal performances. It also comes with a built-in microphone with NFC technology for you to take hands free calls directly from your mobile device. Furthermore, the Cowin E7 is capable of delivering a whopping 30 hours of continuous music playtime with a built-in 600mAh battery which is great if you want to listen to these headphones while travelling on the plane or at work. The headphone also features advanced Bluetooth 4.0 for high quality music streaming. 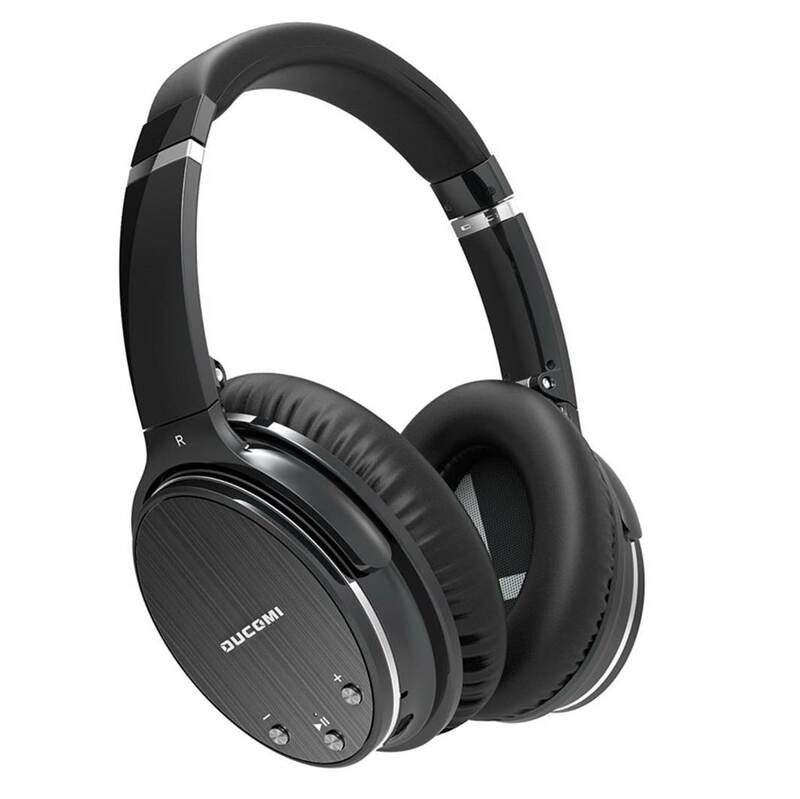 If you are looking for one of the best Bluetooth noise cancelling headphones that are highly value for money, the Cowin E7 is definitely the one you should check out. The sound performance of the Cowin E7 is very good, with nice bass, crisp highs and well-defined midranges. While they do not produce audiophile quality sound, they really deliver decent sound quality that can keep you entertained for long stretches at a time. 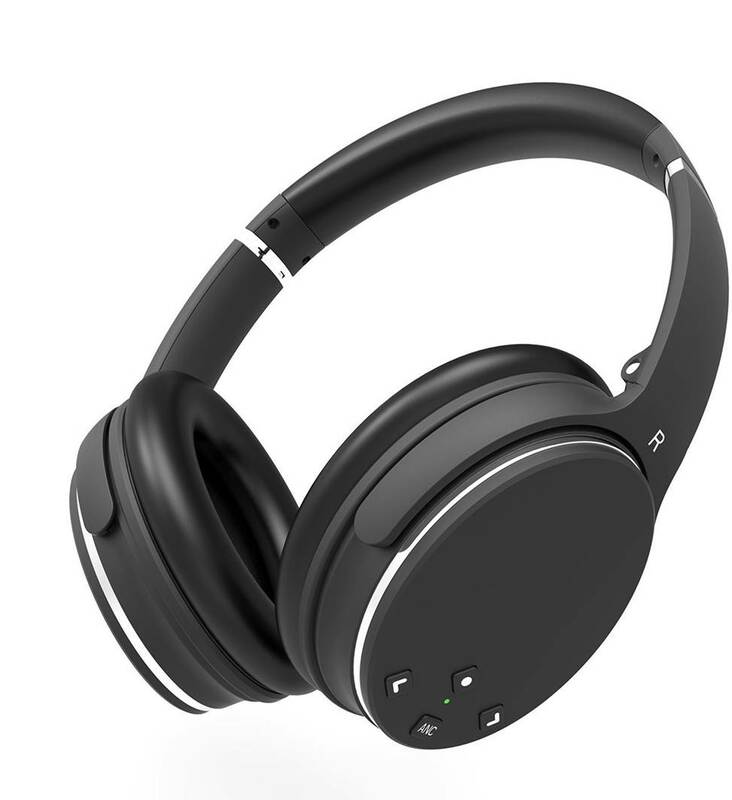 The active noise cancellation works very well to cancel outside ambient noises outdoors or in enclosed spaces such as offices – they block out loud conversation noises in the office which is great. Listening to music with the Cowin E7 headphones was a really enjoyable experience – you get crystal clear sound performance that can get pretty loud without any distortion. Bass-heavy music genres such as electronic dance music and pop sounded right of the bat punchy and tight, with pretty well-defined midranges. The treble ranges are nice and crisp; the overall sound signature feels quite well balanced. We were quite surprised at the level of detail that you get with these Bluetooth headphones – vocal performances sounded clear with decent separation. You can really pick out the subtle details in the music and listen to them with crystal clarity over the Bluetooth connection. In terms of sound performance, the Cowin E7s really deliver quality sound and perform on par with their more expensive counterparts. The Verdict? The Cowin E7s are some of the best Bluetooth noise cancelling headphones you can find that delivers a really good combination of sound quality, portable design and active noise reduction. We liked the fact that these headphones can deliver a good 30 hours of continuous music playtime on a single charge; it also comes with Bluetooth 4.0 and NFC compatibility for high quality music streaming. The active noise cancellation works very well to cancel background noise and does not produce any static noise while activated. The headphones are very comfortable to wear and are perfect for frequent air travellers or to reduce noises in an office environment. The 40mm drivers produce clean bass and crisp treble ranges – it has an impedance of 32 ohms and a frequency range of 20Hz to 20kHz which is pretty broad. The headphones are capable of producing very detailed sound performance and are compatible with virtually any Bluetooth enabled device including smartphones, tablets or laptops. Overall, the Cowin E7s are a really solid set of Bluetooth noise cancelling headphones and we highly recommend them. The Bluedio T4 is one of the best Bluetooth noise cancelling headphones that delivers really good value and sound quality. The T4s active noise cancellation technology works really well to reduce noise significantly and cut off background disturbances. The headphones come equipped with 57mm drivers which provide a really immersive sound experience and decent music soundstage. The T4 headphones feature a unique cavity design that enhances the overall bass response; it also comes with specially designed vents which adjust the airflow and ventilation and distribute the bass around your ears for a full-bodied effect. This enhances the overall bass performance and low-midrange frequencies while streaming music to the T4 headphones. The entire headphone has a really solid and durable build, with nice polymer materials and a sleek chrome finish. We really liked the frames and sliders which look really sleek; it also has a rotating ear cup design for a more comfortable fit and can be folded up for extra portability. 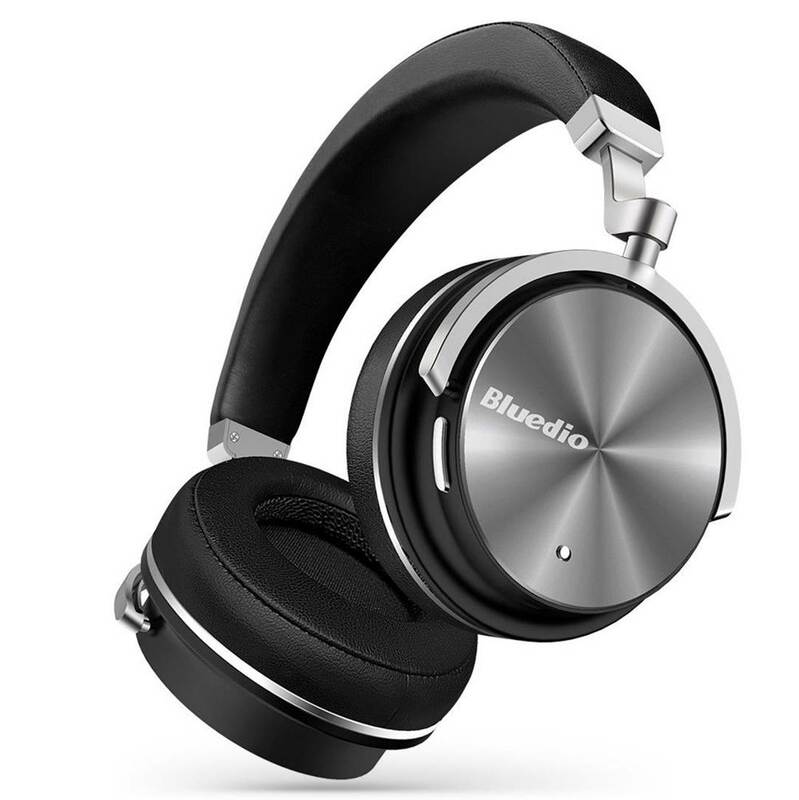 If you are looking for a set of Bluetooth noise cancelling headphones to take along with you for a long flight or just for casual listening in the office, the Bluedio T4 is definitely a great choice. The Verdict? The Bluedio T4s ae some of the best Bluetooth noise cancelling headphones you can find on a budget that deliver really good value. The active noise cancellation technology works very well to cut off background noises to provide for a much more enjoyable listening experience. It also comes with built-in 57mm drivers that deliver really crisp and crystal clear sound quality – the headphones can produce really crisp highs, good midranges and detailed bass response. The bass on these headphones goes low and sounds really punchy; it elevates the overall music listening experience from bass-heavy genres such as electronic dance music and hip-hop. The T4s have a nice cavity design that engulfs your entire ear with full-bodied sound, and also have a really sleek and durable design. The chrome finish on the headphone cans look absolutely sleek and stunning. It also has a rotating cup design and flat folding mechanism for added portability. The Bluetooth connectivity on the T4 headphones works like a charm and streams music from mobile devices without lags or dips in sound quality. Overall, the Bluedio T4s are a really solid set of Bluetooth noise cancelling headphones and we highly recommend checking them out. Sound Quality: 9/10 + Excellent sound reproduction, deep bass response and crystal clear vocals. The sound from these headphones is close to high-fidelity sound. 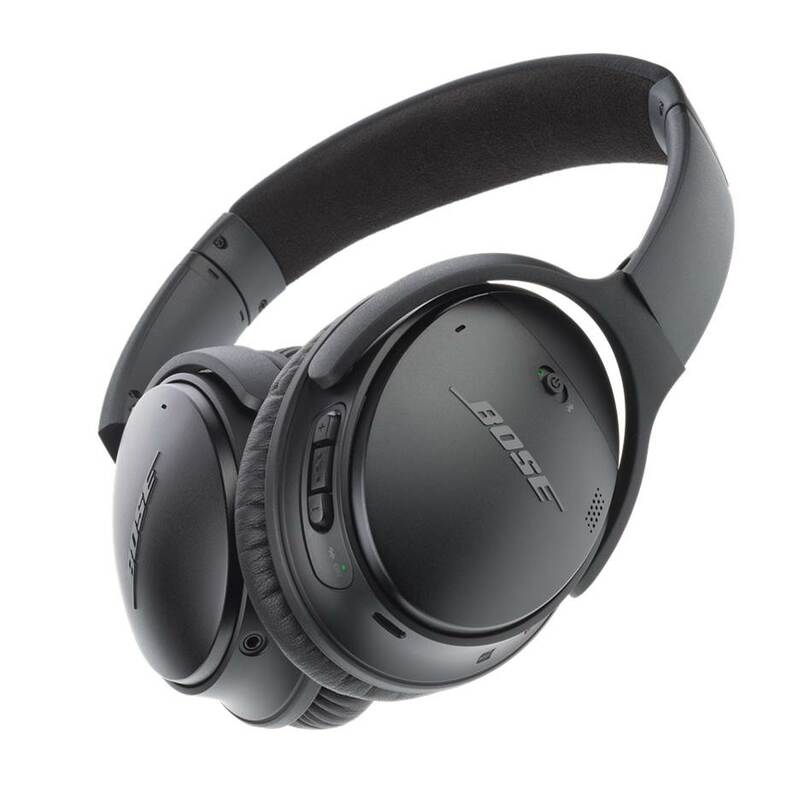 The Bose QuietComfort 35 is one of the best Bluetooth noise cancelling headphones you can find that delivers exceptionally strong noise cancellation. The headphone comes equipped with optimized noise cancellation which greatly reduces background noise and makes music sound much better. The Bose headphone has volume optimized EQ settings which deliver balanced audio performance at any volume level without distortion. It comes with full wireless Bluetooth functionality with NFC pairing for you to connect the headphone to your mobile device and stream your favorite music tunes. We liked the fact that the pairing comes with voice prompts which let you know once the headphone is paired. The QC35 headphones come with a built-in battery that can deliver up to 20 hours of continuous music playtime per charge, or up to 40 hours when wired to your music source. It also comes with a noise cancelling microphone for you to take calls in noisy background environments. If you are looking for one of the best Bluetooth noise cancelling headphones with superb noise cancellation and sound quality, the Bose QuietComfort 35 is a great choice. The sound performance from the Bose QuietComfort 35 is exceptionally clear, detailed and crisp. The soundstage from these headphones is very impressive, with detailed musical separation and clear instrumental placements. The sound feels spacious and well defined, which is quite good for a set of closed back headphones. The bass response that we got from these headphones goes really deep and low – it sounds nearly cinematic like. Listening to bass heavy music such as electronic dance music, rock and hip-hop genres was a really satisfying experience and you can hear the beats in the music without any muddiness or distortion. The bass hits hard and stays where it should be as bass without muddying into the midrange frequencies. We would describe the QC35s as having a warm and full sound signature with relatively balanced treble frequency ranges. When we tested these headphones, nearly every single music genre sounded close to perfect with crystal clarity. The sound performance that you get with the QC35s while streaming music over Bluetooth is very good and we did not experience any dips in sound performance or quality. If you are looking for a Bluetooth noise cancelling headphone that can deliver deep bass and full-range sound, the QC35s will not disappoint. Where the Bose QC35s really shines is in its ability to effectively cancel outside noise. The active noise cancellation feels smooth and natural and does not produce any hissing noise or white noise while active. The headphones can effectively cancel out loud noises to a bare minimum, and block conversation noise in office and enclosed environments. They are the perfect headphones to wear for air travel and will block out airplane engine noise without any issues. In terms of noise cancellation alone, the Bose QC35s really takes things to another level. The QC35s have a very comfortable design with plush over-ear cushions with synthetic protein leather. These are headphones that you can wear for extended periods of time without experiencing any ear fatigue. The headband is easily adjustable to conform to your head size and it exerts just the right amount of pressure to stay securely in place. The headphones are also relatively light and feel pretty comfortable to wear. The battery life on the Bose QC35s is really good and delivers 20 hours of continuous music playtime while on Bluetooth mode without dropping off. The Bluetooth range on these headphones is excellent for up to 33 feet and can potentially go much longer. We liked the fact that these headphones also come with a built-in microphone which is great for taking hands free calls. The Verdict? The Bose QC35s are some of the best Bluetooth noise cancelling headphones available that can really block out external noise for quiet music enjoyment. The sound performance that we got from the QC35s was phenomenally detailed, with very crisp highs, nice midranges and deep bass. The bass response hits hard and punches deep; it really makes listening music on these headphones a superb experience. The headphones have volume-optimized EQ for balanced sound at any volume and it does not distort at high volume levels. Where the Bose QC35 shines is in the noise cancellation department – these headphones can block out virtually all the noise in the surrounding environment and allow you to focus on your work or music listening. You can also listen to music on these headphones in Bluetooth mode or wired mode – the battery life delivers up to 20 hours of listening time in Bluetooth mode which is really good. We also liked the design of the Bose QC35s and the plush ear cushions which make wearing these headphones while travelling on the plane very comfortable. While these headphones do not come cheap, they are some of the best Bluetooth noise cancelling headphones that are definitely worth checking out. 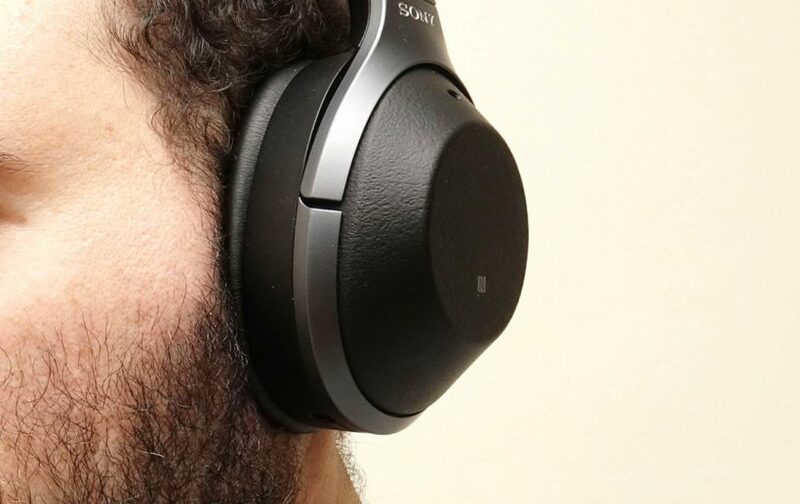 The Sony XB950N1 Bluetooth noise cancelling headphones have a reputation for solid bass performance. These headphones allow you to stream music wirelessly from your mobile device and also have pretty good active noise cancellation for a relaxing listening experience. The XB950N1s are geared towards extra bass production – if you love bass heavy music genres including electronic dance music, pop and hip-hop, these headphones are definitely for you. It comes with NFC Bluetooth streaming for automatic connection to your mobile device and LDAC. We liked the fact that you can also adjust your sound settings with the Sony Connect app. The headphones are designed to produce full-range frequency response and also come equipped with enough battery life for you to listen to music for hours on end. The XB950N1s also support both wired and wireless music modes and you can switch between them if the battery power has run low. 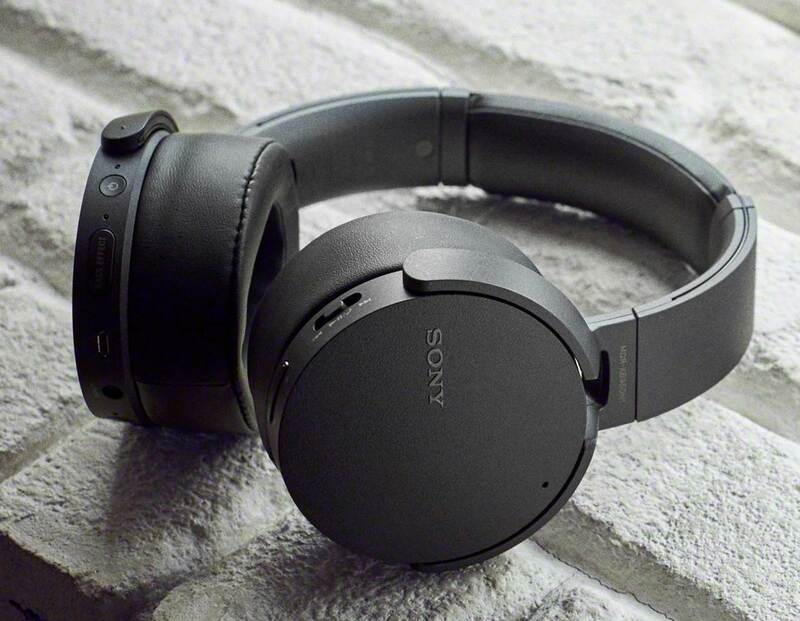 Overall, the Sony XB950N1s are some of the best Bluetooth noise cancelling headphones with really powerful bass response and are ideal for music lovers that want more bass with their music. The sound performance on the Sony XB950N1s is really good – it produces deep immersive sound that you can hear and feel. They can get really loud and produce no distortion at maximum volume levels. While the bass response and low-end frequencies are clearly enhanced, the SX950N1s do not sacrifice on the midrange clarity. The treble ranges are also well-defined and smooth. When we streamed music from our mobile device to the XB950Ns, it sounded well-balanced with great depth with no audible loss in sound quality. Instrumental music sounded really crisp – and with the noise cancellation switched on – it produces a really good soundstage that makes you feel as though you are sitting in a real life concert hall. Electronic dance music was outright punchy and very fun to listen to – the bass stays where it should be as bass and does not flood into the midrange frequencies. Classical jazz music sounded smooth in the upper midrange frequencies. We did not experience any harshness while listening to the XB950N1s. That being said, we felt that the sound performance on these headphones sounded much better with the active noise cancellation turned on in wireless mode. The Sony XB950N1s have a really solid and sturdy design – it is made of high quality plastic construction that feels durable. It has a fully folding headphone design with rotating ear cans and soft ear padding that goes around the ear. While these headphones are comfortable to wear, they may exert some degree of clamping force on your head which make take some time to get used to. The N1 headphones have pretty good noise cancellation and can block out ambient background noise and reduce conversational noises, which is great if you need a pair of headphones to focus on your work. The XB950N1s have really good battery life that can last for hours on end on a single charge; the active noise cancellation can be switched on or off depending on your preferences. It also allows you to connect a 3.5mm auxiliary cable for wired connection when the battery power is low. We liked the fact that you can also optimize your sound settings with the Sony Connect app depending on your musical preferences. If you like deeper bass response for your music, the Sony XB950N1s are definitely the ones to get. The Verdict? The Sony XB950N1s are some of the best Bluetooth noise cancelling headphones that produce very good bass response. It comes with Bluetooth 4.0 for you to stream music wirelessly to the headphones directly from your mobile device, and supports NFC connectivity for automatic connectivity. The active noise cancellation works like a charm and can block out most ambient background noises and reduce conversational sounds – this makes them really good if you need a set of headphones to focus on your work. The headphones are very comfortable to wear with soft, thick padding that goes around the ear. It also comes with nice buttons on the side for you to pause, play or change soundtracks which makes it convenient to adjust the sound settings. The sound quality that you get with these headphones is crisp and detailed – music performances sounded crystal clear, with great attention to detail. It also emphasizes the bass and lower-midrange frequencies which makes listening to bass-heavy music genres an enjoyable experience. Overall, it’s a solid set of Bluetooth noise cancelling headphones that delivers really good sound performance for bass lovers and we highly recommend them. The Sennheiser PXC 550s are some of the best Bluetooth noise cancelling headphones with really good sound quality. These headphones are equipped with Bluetooth 4.2 for quality music streaming and feature an ergonomic lightweight design for portability. The sound quality that you get with these headphones is top-notch and you can also select your EQ modes to get the right sound depending on your preferences. The headphones come with Sennheiser’s NoiseGard adaptive noise cancellation which effectively cancels out background ambient noise for quiet listening. The noise cancellation works well to cancel noise on a plane or in the office and effectively reduces the audible background noises for a comfortable listening experience. It also features NFC pairing to your mobile device and an intuitive user control with voice prompts and touch controls for you to pause or power on or off the headphones on the go. We liked the fact that the PXC 550s also have triple microphone arrays which delivers really good vocal clarity for hands free calls. The PXC 550 headphone delivers up to 30 hours of battery life from a single charge which is great for long distance travellers. The Verdict? The Sennheiser PXC 550 is really good set of Bluetooth noise cancelling headphones with superb sound quality. The level of detail that you get with the sound is of really good quality – it has crisp highs, detailed midranges and very good bass response which elevates the entire listening experience. Listening to classical and instrumental music while turning on the active noise cancellation provides really good soundstage – you can hear the finer details in the music with crystal clear clarity while blocking out ambient background noise. The noise cancellation on the PXC 550 works like a charm and does not produce any hissing noise when switched on; it works well in noisy spaces to reduce conversation chatter and other noises which help you to focus. The touch controls on the right ear-cup are design and intuitive to use, and the battery life lasts very long (up to 30 hours) on a single charge which is great. The headphone also has a built-in microphone for you to take hands free calls on the go. It comes equipped with Bluetooth 4.2 and NFC pairing technology for easy wireless music streaming. 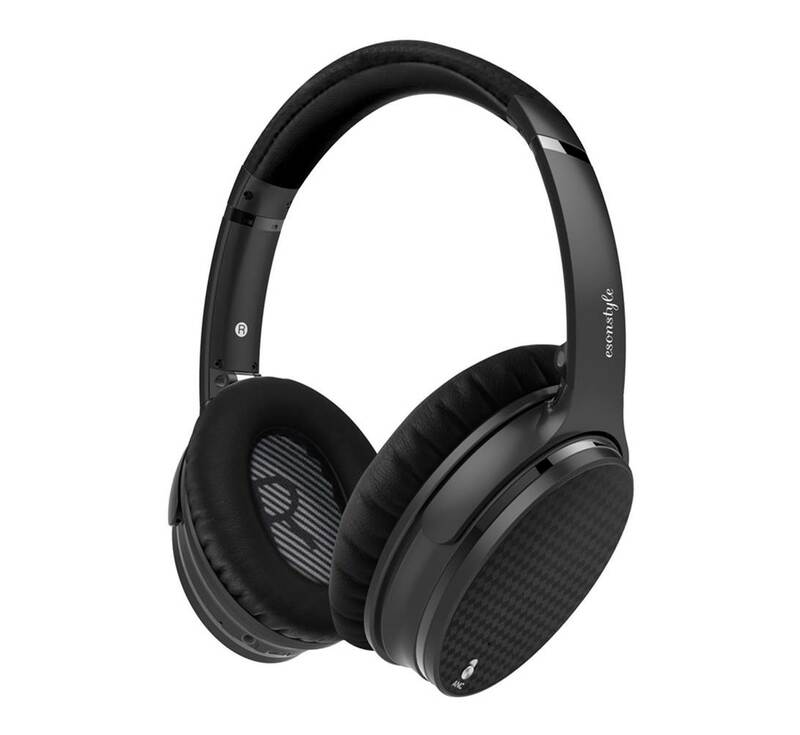 If you are looking for one of the best Bluetooth noise cancelling headphones with really good sound quality, the Sennheiser PXC 550 comes highly recommended. The TaoTronics are a really good set of Bluetooth noise cancelling headphones you can find on a budget. It has effective active noise cancellation which helps to block out unwanted noises and banter in your surrounding environment and provide an uninterrupted music listening experience. They are great for wearing in your office or for travelling for quiet listening. The TaoTronics headphones come with dual large-aperture 40mm drivers that produce balanced midrange frequencies and crisp highs – you can hear the beats in the music while listening to these headphones. The Bluetooth connectivity works like a charm and it also comes with aptX streaming for CD audio quality sound when streaming music from your mobile device. The battery life on these headphones lasts a good 25 hours long and you also have the option of listening to your headphones via the audio cable when the battery life is low. We liked the fact that the TaoTronics headphones also come with a CVC 6.0 noise cancelling microphone which provides crystal clear call quality. Overall, the TaoTronics are some of the best Bluetooth noise cancelling headphones you can find on a budget and are definitely worth checking out. The sound quality that we got from the TaoTronics headphones was much better than we expected. The sound is well-rounded in detailed, with solid bass response that does not sound overwhelming or flood into the midrange frequencies. You can basically throw almost every single music genre to these headphones and they will reproduce them with crystal clear accuracy. Instrumental music sounded spacious and well-defined when the active noise cancellation is turned on – it feels as though you are sitting in a real life concert hall. Rock and pop music sounded a little recessed on the highs but comes across with strong mid-tone frequencies and good bass response. Electronic dance music was really pleasing to listen to – you get quality sound and punchy beats that sound nice and tight. We liked the fact that you can also answer calls directly with the TaoTronics headphones; the call quality is pretty good and we could hear the person at the other end of the line without any interruptions. Not bad at all for a set of budget headphones. The build quality on the TaoTronics headphones is very good – they have a solid feel about them and looks pretty durable straight out of the box. The controls are placed on the ear cups and come with all the basic functionality that you need to answer and hang up calls, turn the active noise cancellation on or off, as well as fast-forward and change soundtracks. The Bluetooth range on these headphones is really good and works well for up to 33 feet – we did not experience any drops in sound quality while streaming music wirelessly to these headphones. The battery life on these headphones can last for up to 25 hours of continuous music playtime depending on the volume level; you can also opt for wired mode in the event that the battery is running low. The TaoTronics headphones are comfortable to wear for extended periods of listening – they are lightweight and come with 90 degree swivelling ear cups and an adjustable headband for a nice fit. It also has soft leatherette ear cushions which go over the ears for comfort and to block out external noise. You can also charge the headphone via the included USB cable. The entire package comes with a carrying case, 3.5mm auxiliary cable, USB to micro USB cable and a user guide for easy reference. The Verdict? The TaoTronics Bluetooth noise cancelling headphones provide very good sound quality on a budget. The 40mm large aperture drivers deliver crisp highs, nice midrange response and low bass tones that sound punchy and not muddy. You can stream music directly from your mobile device to these headphones and it will maintain consistent sound performance. The active noise cancellation works well to cancel out background ambient noise, although they will not fully cancel out conversations and people talking. That being said, they are really good headphones to have while travelling on the plane and they can reduce engine noise to a minimum for a peaceful and relaxing listening experience – you can wear them for hours without feeling fatigued. We liked the design of these headphones – they are lightweight and have 90 degree swivelling ear cups with an adjustable headband that conforms to your head size. It also has an integrated CVC 6.0 noise cancelling microphone for you to take hands free calls. Overall, the TaoTronics headphone is a really solid set of Bluetooth noise cancelling headphones and we highly recommend them. 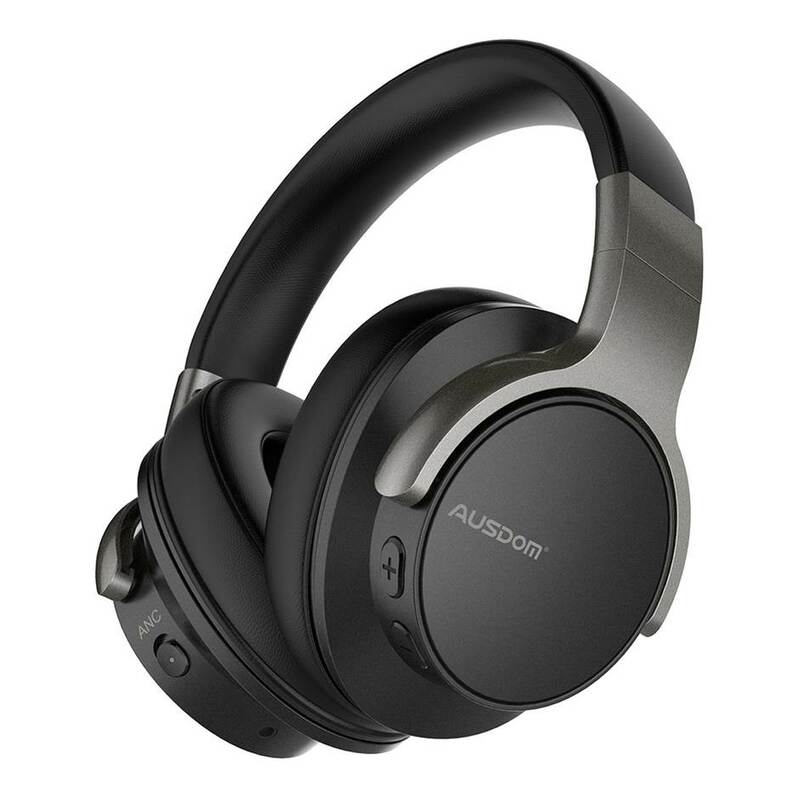 The AUSDOM ANC8 are some of the best Bluetooth noise cancelling headphones that deliver crystal clear sound quality and wireless music streaming. It has a 40mm large aperture driver which delivers extra bass and low-end frequencies. The active noise cancellation works very well to cancel out engine noise or conversational noises in office spaces, which is great if you need a pair of headphones to focus on your work or study. These headphones come with Bluetooth streaming for you to stream music directly from your smartphone; it also features a wired function for you to connect to non-wireless music sources with a 3.5mm auxiliary cord. It comes with a built-in CSR Bluetooth chip which supports A2DP, AVRCP, and HSP, and supports wireless phone calls and TV music streaming. The ANC8 headphone is designed to be really comfortable with high grade protein leather pads which have an ergonomic design to fit your ears. You can practically wear these headphones for hours on end without feeling any ear fatigue. The headphones also come with a 400mAh battery that can deliver up to 20 hours of continuous music playtime depending on the volume settings. 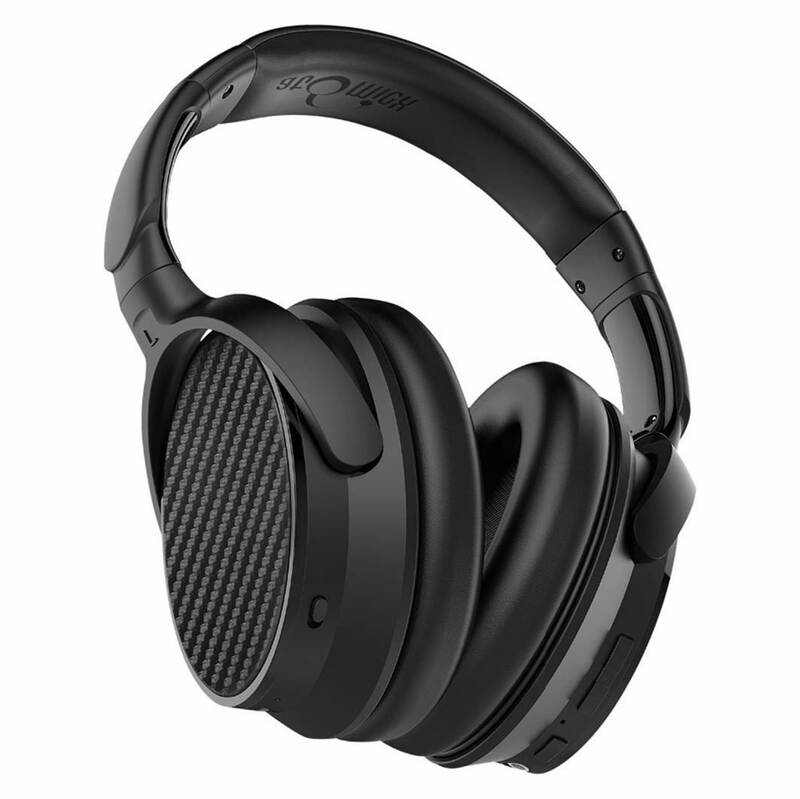 Overall, the AUSDOM ANC8s are a really good set of Bluetooth noise cancelling headphones and we highly recommend them. The AUSOM ANC8 uses a 40mm large aperture driver to deliver very good sound quality. We liked the fact that the bass response from these headphones goes deep and low. The low-end frequency response sounds tight and punchy, and you get really crisp highs with crystal clear sound clarity. It produces the kind of bass that stays where it should be without flooding into the midrange frequencies. The sound quality that you get with these headphones is close to high-fidelity sound. Listening to classical and folk music with these headphones was a really enjoyable experience, with very detailed sound quality which emphasizes the subtle details in the music. Vocal performances sounded smooth without any harshness; instrumental performances were nicely delivered and it even has decent soundstage where you can tell where the sound is coming from. The active noise cancelling works in tandem with the headphone drivers to block outside noises and maximize your listening experience. When we tested these headphones, we noticed the difference in sound quality once the active noise cancellation was switched on – music tones and notes sounded much sharper and clearer, and it feels as though you are fully immersed in your music. The AUSDOM ANC8 has a really sleek and modern looking design. The headphones come with custom fit supra-aural padding with an adjustable headband which provides very good comfort – you can wear these headphones for hours on end without getting ear fatigue. It also has a foldable design with rotatable ear cups for portability – the headphone also comes with a portable carrying case for your headphones. The Bluetooth connectivity on these headphones work like a charm – it is equipped with CSR Bluetooth 4.0 which provides quality music streaming on the go. We did not experience any lags or dips in sound performance while listening to music or watching movies. The headphone also has a built-in microphone for you to take hands free calls which is great. The battery life supports up to 20 hours of continuous music playtime depending on the volume level. We liked the fact that you can switch between wireless or wired modes and turn the active noise cancellation on or off depending on your preferences. The active noise cancellation works well to cancel out noises in the low frequency band range such as engine rumble on airplanes. The Verdict? The AUSDOM ANC8 is a set of quality Bluetooth noise cancelling headphones that delivers crystal clear sound with wireless Bluetooth streaming. These headphones are very well designed and comfortable to wear with plush ear padding. The sound quality that we experienced from these headphones was crystal clear, with more of an emphasis on the bass and low-midrange frequencies. This makes the ANC8 headphone ideal for those who like listening to bass-heavy music genres such as electronic dance music and pop. The active noise cancellation works well to reduce background noises and rumbling sounds – you can literally wear these headphones to sleep while travelling on the airplane. The Bluetooth connectivity works like a charm and are compatible with most Bluetooth devices including tablets and mobile devices. It also gives you to switch between wired or wireless modes; it comes with a 3.5mm auxiliary cable that you can use to connect the headphone to non-wireless music sources. 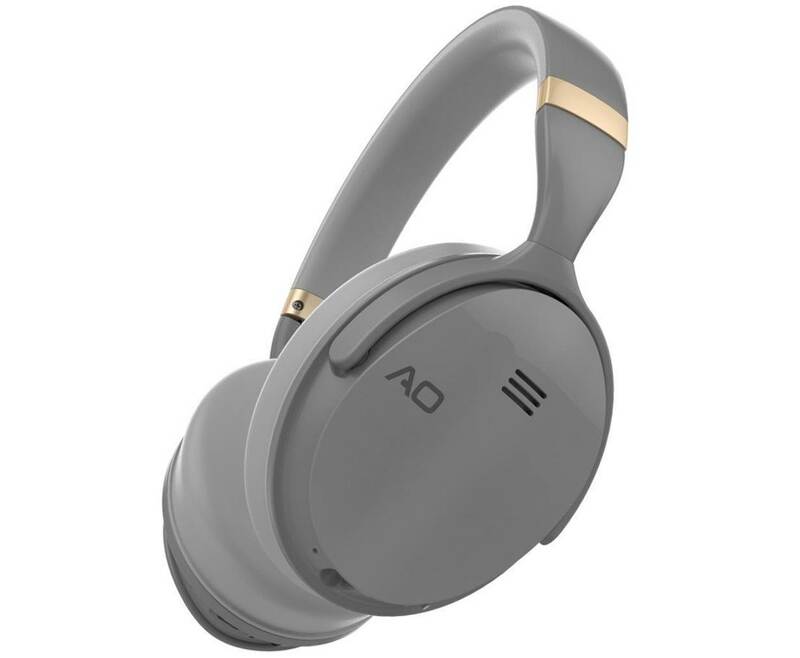 Overall, the AUSDOM ANC8 is a really nice set of Bluetooth noise cancelling headphones that we would recommend and are definitely worth checking out. The iDeaUSA is one of the best Bluetooth noise cancelling headphones that delivers well-balanced sound performance. These headphones are equipped with premium 40mm stereo drivers with Bluetooth aptX streaming to deliver dynamic and detailed sound quality. The active noise cancellation on these headphones are capable of reducing ambient background noise by 85% to provide a quiet and relaxing listening experience – it’s a great set of headphones for wearing in the office or to reduce traffic noise. The iDeaUSA headphone comes equipped with Bluetooth 4.1 for wireless music streaming for up to 33 feet; it also has a 3.5mm auxiliary port with a flight adapter for use in flight mode with non-wireless music sources. We liked the fact that the iDeaUSA headphone comes with a 500mAh battery which delivers up to 25 hours of continuous music playtime from a 2 hours charge. The headphones have a fully adjustable headband with 115 degree rotating earcups for a comfortable fit. Overall, the iDeaUSA is a solid set of Bluetooth noise cancelling headphones that delivers well-balanced sound quality. We were quite surprised at how good the sound quality from these headphones was – after a period of 5 hours of break-in, you really get good full-bodied sound that sounds full-range and crisp. The headphones have a frequency response between 20 Hz to 20 kHz which is pretty good. The sound quality from these headphones is dynamic and makes your music come alive – it has very nice highs, smooth midranges and decent bass response that does not sound overwhelming. The headphones have a slightly warmer sound signature but delivers good soundstage with the active noise cancellation turned on. Instrumental music sounded crisp and clear, with good separation in music instruments. It gives you a sense of where each individual note and instrument sounds are coming from. Music genres such as country folk and jazz sounded well-balanced and natural without any harshness – the sound quality is very close to full-range and it covers the entire audio spectrum nicely without over-emphasizing one frequency range over another. If you are looking for a set of headphones for quality music listening, it’s hard to go wrong with the iDeaUSA headphones. In terms of design, the iDeaUSA wireless headphones have a really sleek and comfortable looking design that looks pretty stunning. It comes with plush ear padding that goes over the ear with an adjustable headband; the earcups rotate 115 degrees for easy storage and fold flat in the headphone case for added portability. The active noise cancellation works really well here – it can cancel out ambient background noise as well as loud noises for a relaxing listening experience. This includes noise reduction from background chatter, engine rumbling noises or vehicle traffic. It reduces noise to the extent that whatever sounds that goes through to the headphone does not interfere with the overall listening experience. You can practically wear these headphones on a flight and have a good sleep while cancelling noise around you. The Bluetooth 4.1 with aptX wireless streaming works like a charm and we did not experience any lags while watching movies or listening to music. It also comes with a built-in microphone for hands free calls which is convenient. The 500mAh battery can deliver up to 25 hours of continuous music playtime depending on the volume level which is pretty good for a set of active noise cancelling headphones. The Verdict? The iDeaUSA is one of the best Bluetooth noise cancelling headphones you can find that delivers well-balanced sound quality. The active noise cancellation works very well to cancel out background noises and banter to help you focus on your work or study. We liked the fact that the noise cancellation helps to elevate the overall listening experience with these headphones – you get great sound quality with crisp highs, detailed midranges and smooth bass response. The headphone can be connected to your mobile device via Bluetooth and it has aptX codec enabled for high quality Bluetooth streaming. It also has built-in three button controls on the ear cups to allow you to control the volume, switch between different soundtracks and answer calls. The headphone also comes with a built-in microphone which allows for hands-free calls. The entire package comes with the headphones, USB charging cable, 3.5mm auxiliary cable, airline adapter, carrying case and user manual for easy reference. On the whole, the iDeaUSA is a really good set of Bluetooth noise cancelling headphones that are definitely worth a closer look. The Hiearcool L-1 is a very good set of Bluetooth noise cancelling headphones that are comfortable to wear and have great active noise cancellation. It comes equipped with Bluetooth 4.1 for wireless music streaming for up to 33 feet. 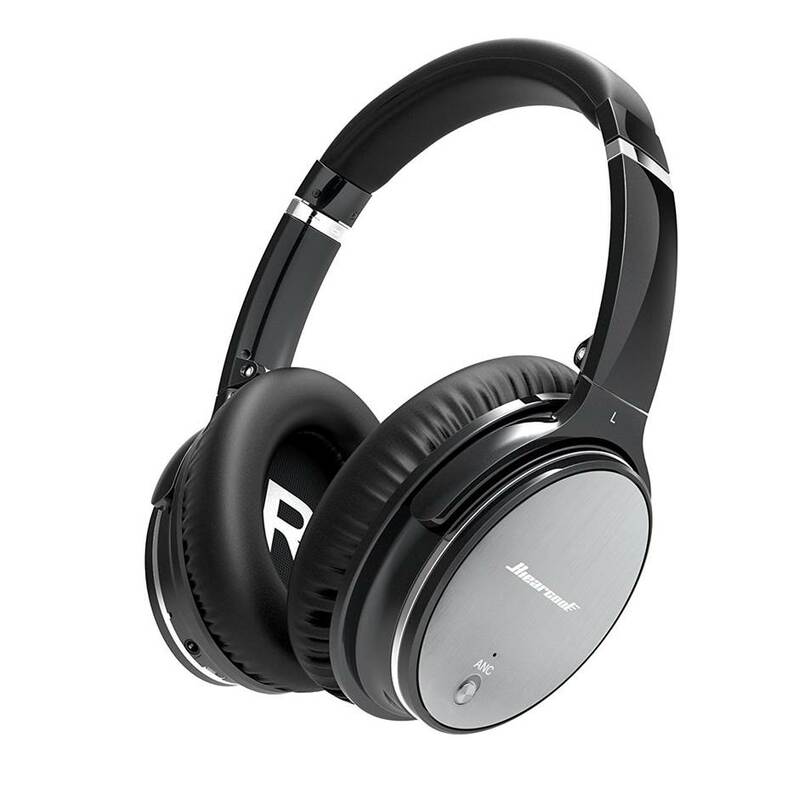 It features active noise cancellation which reduces background noises such as airplane cabin noises or loud office banter for you to focus on the music or your work. It has a really lightweight and comfortable design with plush ear cushions and a soft headband for you to wear the headphone for extended periods of time without feeling ear fatigued. The headphone drivers deliver immerise sound quality and it also supports hands free calls. It also comes with a 360mAh battery which can deliver around 8 hours of active noise cancellation, as well as a 3.5mm audio wire to connect to non-wireless music sources. If you are looking for a set of Bluetooth noise cancelling headphones with premium build quality and comfort, the Hiearcool L-1 is a great choice. The sound performance of the Hieracool L-1 is clear and detailed – the sound is immersive and it handles the entire audio spectrum pretty well at any volume level. The highs and treble ranges are crisp, the midrange performance is present and the bass is strong and punchy. You can really crank up the volume on the Hieracool L-1 headphones and they will not distort. Music genres such as electronic dance music sounded right off the bat punchy and tight, with really nice beats. Vocal performances were clean and accurately reproduced without any harshness. We also liked the fact that the sound feels natural and organic without any artificial enhancements. You really do get pure sound quality with these headphones without any EQ modifications. That being said, we found that the headphones sound best when the active noise cancellation is turned on – otherwise there will be a little dip in sound quality without the active noise cancellation. Overall, the sound quality is excellent with Bluetooth wireless streaming and is controlled and crisp. Where the Hieracool L-1 really shines is in its comfortable and premium build quality. The headband is made of aluminium and it feels really durable. The ear cups are extremely comfortable to wear with plush ear pads that are soft – the ear pads cover the ears nicely which prevents sound leakage. You can practically wear these headphones for hours on end without feeling ear fatigue and they are great for air travel to block out external noises. The controls are located on the right ear can which allows you to control the volume and skip soundtracks. The headphone comes equipped with a 360mAh battery which can deliver approximately 8 hours of active noise cancellation, or 12 hours of continuous music playtime without the active noise cancellation mode. The Bluetooth connectivity is consistent and works well up to 33 feet. We liked the fact that the Hieracool L-1s come in a sleek storage case for easy portability. The entire package comes with the noise cancelling headphones, 3.5mm audio cable for non-wireless music sources, micro USB charging cable, storage case and a user manual for easy reference. The Verdict? The Hieracool L-1s are some of the best Bluetooth noise cancelling headphones that provide really good comfort. The active noise cancellation works well to block out external noises while travelling on the plane or in the noisy office environment and helps you to focus on your work. The ear padding is really soft and comfy – it has a nice aluminium band around the headphone which makes it look aesthetically pleasing. The ear pads go over the ears and also help to block out external noises. Listening to music with the L1s is an enjoyable experience, with crystal clear highs, detailed midranges and good bass response. The sound is well-balanced and crystal clear; vocal performances were smooth and did not sound harsh. The bass frequencies were well-defined and did not sound overpowering. The Bluetooth connectivity works like a charm and we had no issues streaming music directly to these headphones. It also has the option of wired connection to your mobile device via a 3.5mm audio cable, although we felt that the sound performance is best when the active noise cancellation is switched on. Overall, the Hieracool L-1s are a really good set of Bluetooth noise cancelling headphones for comfortable wearing and we highly recommend them. The AO headphones are some of the best Bluetooth noise cancelling headphones that have a really sleek and stunning design with very good noise cancellation. The noise cancellation on the AO headphones works nicely to reduce ambient background noise and is perfect for air travel or gym use or for quiet listening in noisy environments. The AO headphones work in both wired and wireless modes which is great if you want to listen to music from non-wireless music sources. The sound performance of these headphones is well-balanced and works in tandem with the active noise cancellation to deliver crystal clear sound quality. The headphones are very comfortable to wear and come with over the ear cushioned earpads for easy listening. The ear cups can also swivel and are foldable for easy portability. It comes equipped with a long lasting rechargeable battery that delivers up to 20 hours of continuous music playtime on a single charge; it also has a built-in microphone for hands free calls. If you are looking for one of the best Bluetooth noise cancelling headphones, the AO headphones come highly recommended. The Verdict? The AO headphones are a really well-designed set of Bluetooth noise cancelling headphones that deliver superb sound quality. They are very comfortable to wear and come with a sleek and lightweight design with plush ear cushions for extended periods of wearing. The headphones feature a minimalist and very clean design that looks stunning straight out of the box. The sound quality that we got from these headphones is very good, with very good bass response, full midrange tones and crisp highs. The active noise cancellation works well to reduce ambient background noise and vocal noises to provide a quiet listening experience – it has enhances the overall sound quality of the headphones and helps to focus the sound quality. The headphones are also foldable which provides very easy portability for travel. It also comes with an included auxiliary cable for non-wireless music sources and has a long lasting battery life of 20 hours for Bluetooth streaming and noise cancellation. The built-in microphone for hands free calls also works well for taking calls on the go. The BOHM headphones are a really good set of Bluetooth noise cancelling headphones with very durable build quality and sound performance. These headphones are equipped with 40mm drivers for you to enjoy music, TV, movies and audiobooks on the go. It comes equipped with Bluetooth 4.0 for high quality music streaming and connects seamlessly to your iPhone, iPad, laptop or smart TV devices – it also supports A2DP, AVRCP, and HSP music streaming. The Bluetooth range on these headphones is a good 33 feet (10 meters) in range. The headphones come with cushioned ear pads which provide a very comfortable and relaxing listening experience. It also features a 320mA battery which can deliver up to 16 hours of music playtime at 50% volume and takes approximately 2 hours to charge. The effective noise cancellation lasts a good 8 hours on a single charge. It also has built-in volume control for convenience and a foldable design for easy portability. If you are looking for a well-built, durable set of Bluetooth noise cancelling headphones, the BOHM headphones are a great choice. The Verdict? 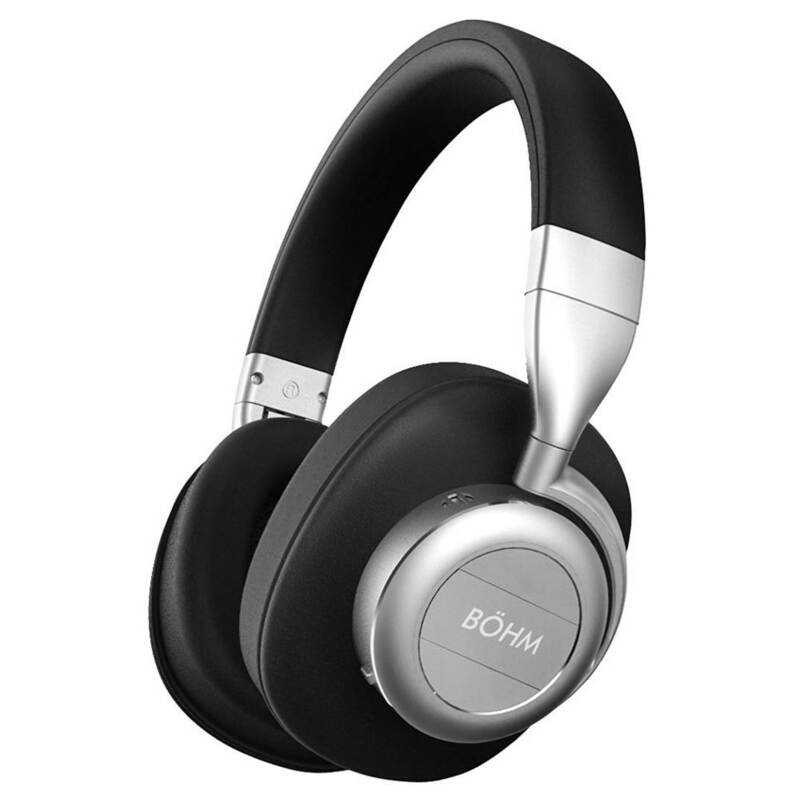 The BOHM headphones are a really good set of Bluetooth noise cancelling headphones with a very durable design. 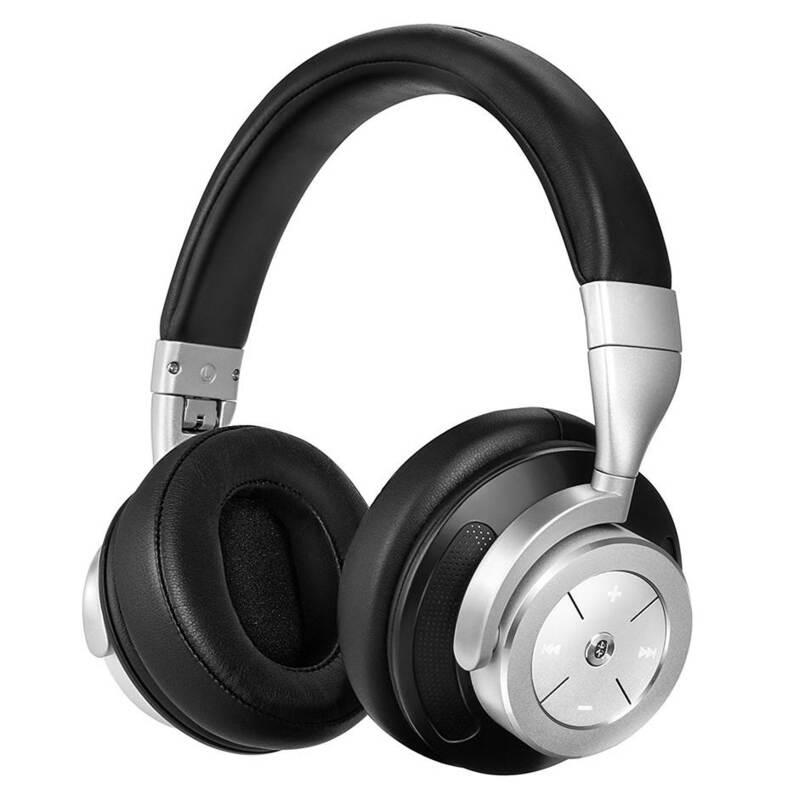 These headphones feature an aluminium headband with faux leather padding for a comfortable listening experience; they are very well-constructed and foldable for easy portability. The cushioned padding goes over the ears and feels comfortable to wear; you can practically wear these headphones for hours without feeling fatigued. These headphones have a really premium design that looks pretty stunning. The sound quality that you get with the 40mm drivers is rich, textured and very crisp. The bass and lower-midrange frequencies are well-emphasized when the active noise cancellation is turned on. The rechargeable battery on these headphones provide up to 16 hours of continuous music playtime and up to 8 hours of active noise cancellation. It also features Bluetooth 4.0 for high quality music streaming and handles the audio quality really well without dips in sound performance. You can also crank up the volume on these headphones close to maximum levels and they will not distort. 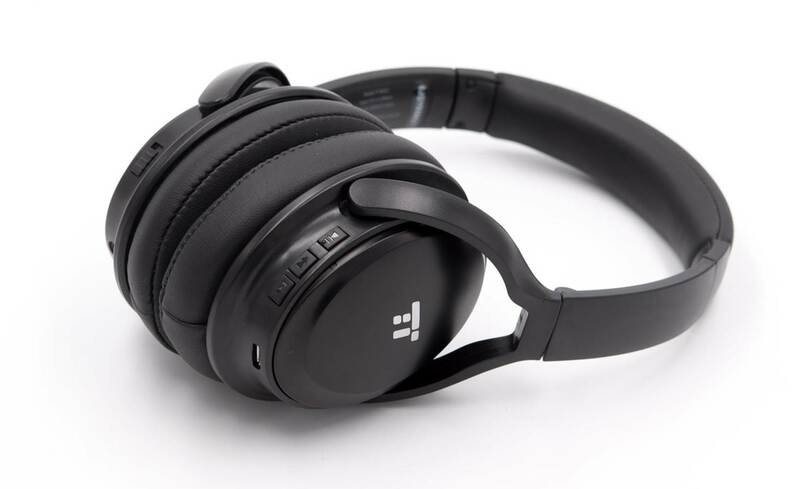 Apart from the low hiss noise at low volume levels, the BOHM headphones are a really solid set of Bluetooth noise cancelling headphones and we highly recommend them. The Paww WaveSound 3 is a luxurious set of Bluetooth noise cancelling headphones that are specially designed for comfortable air travel. These headphones come with an airplane adapter and an auxiliary cable for easy listening on the plane or for travelling; it gives you the option of connecting these headphones to the airplane screen to watch movies or TV shows. The auxiliary option works nicely if you want to listen to music from non-wireless music sources. The active noise cancellation on the Wave Sound 3 is superb – it can effectively block out surround noises and provide a comfortable music listening experience for quiet concentration. We liked the fact that these headphones are foldable which make them easy to carry around – it also comes with a travel friendly carrying case for added portability. These headphones are the perfect headphones to take with you in your backpack or carry-on bag. They are also equipped with a rechargeable battery for the active noise cancellation and recharges via the included micro-USB charging cable. The sound quality that we got from the Wave Sound 3 headphones was really crisp. It comes equipped with two 40mm neodymium drivers which create a crystal clear and dynamic sound listening experience. Listening to music with these headphones with the active noise cancellation turned on really enhances the overall listening experience and makes the bass response feel much more rounded and defined. Podcasts and audio books sounded crystal clear and clean, while vocal performances sounded well-defined and crisp. The midrange frequencies on these headphones are nicely reproduced without any harshness; the highs and treble ranges are smooth to listen to. Bass heavy music genres such as electronic dance music and hip-hop sounded punchy and tight; the bass hits hard but does not sound overwhelming. The acoustic drivers are capable of delivering a certain degree of soundstage and musical separation which is rarely heard in a pair of closed-back headphones. We thoroughly enjoyed listening to the Wave Sound 3 headphone – the sound quality is top-notch and refined with plenty of detail. The Wave Sound 3 headphones have a really sleek and aesthetically pleasing design. These headphones are full size and have over the ear padding that feels really comfortable to wear. The headphones feel solid and feel very premium; they have some weight to them but still feel comfortable when worn on the head. The cushions on the ear pads are comfortable and help to provide a good degree of sound isolation to keep the music in the headphone cans. The padding helps to distribute the weight of the headphones evenly across the headphone. Where these headphones really shine is in the active noise cancellation on plane flights – they can cancel out loud noises and conversational noises effectively and block out 80% of the noise. In terms of noise cancellation, these headphones come close to high-end noise cancelling headphones and work very effectively. The battery life on the Wave Sound 3 headphones is pretty good and they charge quickly via the included USB cable. The headphones are also foldable and come with a carrying case for easy portability. Overall, the Wave Sound 3 are a really solid set of headphones that delivers very good sound quality and much better active noise cancellation than we expected. The Verdict? 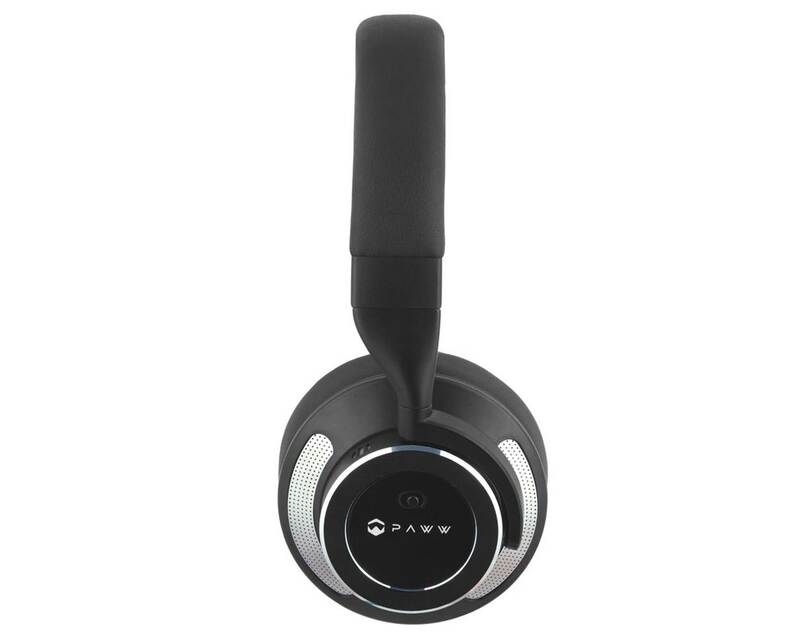 The Paww Wave Sound 3 is one of the best Bluetooth noise cancelling headphones for air travel. The active noise cancellation works like a charm and can effectively block out ambient background noise as well as conversational noises by up to 80%. They are very comfortable to wear and provides a superb listening experience while travelling on the plane. It also comes with an airplane adapter with an auxiliary cable – you can plug these headphones into the airplane screen to watch movies or listen to music. The Bluetooth connectivity on the Wave Sound 3 headphones is solid and consistent – we did not experience any dips in sound quality while streaming music from our Bluetooth device. The sound quality that we got from the Wave Sound 3 headphones was crisp and crystal clear – the two 40mm neodymium drivers produce rather full-range sound quality and enhances the low-end frequency response nicely. The entire headphone has a durable metal construction with plush ear cushions for comfortable wearing. If you are looking for one of the best Bluetooth noise cancelling headphones for air travel to cancel out noise, the Wave Sound 3 is definitely a very good choice. The Conambo is one of the most versatile Bluetooth noise cancelling headphones that delivers a good combination of sound quality and active noise cancellation. These headphones provide good active noise cancellation that can reduce between 80% to 90% ambient background noise for quiet listening while travelling or in a noisy office environment. It has a unique detachable Bluetooth design that allows you to listen to music wirelessly or in wired mode via the included auxiliary cable. These headphones are pretty comfortable to wear and are built with premium materials for long lasting comfort – it also features foldable ear cups and a fully adjustable headband for easy portability. The ear cups come with professional memory protein ear pads which provide a comfortable fit around the ears without causing ear fatigue. It comes with a built-in battery that can provide up to 8 hours of continuous music playtime in wireless mode with active noise cancellation. The headphone is compatible with virtually any Bluetooth enabled devices and also come with an airplane adapter to connect to in-flight entertainment systems. Overall, the Conambo is one of the most versatile Bluetooth noise cancelling headphones that you can find and we highly recommend them. The sound performance of the Conambo headphones is really crisp and high quality. The acoustic drivers on these headphones are capable of delivering very detailed sound quality – you can hear the subtle details in your music while listening to these headphones. The highs and mids are crisp and clear, and the treble ranges are well defined. The bass response on the Conambo headphones is good and hits hard without sounding too overwhelming or bloated. The headphone comes with active noise cancellation which enhances the overall sound quality when switched on – the music tones become much clearer and the midrange tones are more apparent. Listening to classical folk music with these headphones was a really enjoyable experience with clearly defined vocals and crisp instrumental response. You get a decent sense of where the sound is coming from and these headphones provide a certain degree of soundstage. While the sound quality is not at the audiophile level, it certainly does surpass our expectations of what you can expect from a cost effective set of headphones with multiple functions and Bluetooth connectivity. In terms of design, the Conambo headphones have a durable and clean design. You can tell straight out of the box that these headphones are made of premium durable materials. It comes with a fully adjustable headband that has good padding as well as a memory protein ear pad which easily fits around the ears. The ear padding cushion is nice and comfy and you can easily wear these headphones for hours without feeling burned out or fatigued. The entire headphone is foldable and fits nicely into a headphone carrying case for easy portability. The Conambo headphone also comes with a built-in microphone and remote control for hands free calls and to pause or play music. The Bluetooth connectivity works well for almost any Bluetooth enabled device and we had a stable and consistent connection while streaming music from our mobile device. The built-in battery life provides a good 8 hours of battery power in wireless Bluetooth mode with active noise cancellation – the active noise cancellation works well to cancel out 80-90% of background noise which is great. The headphones come with a detachable Bluetooth adapter, 3.5mm audio cable, and an airplane adapter for in-flight entertainment connection. The Verdict? 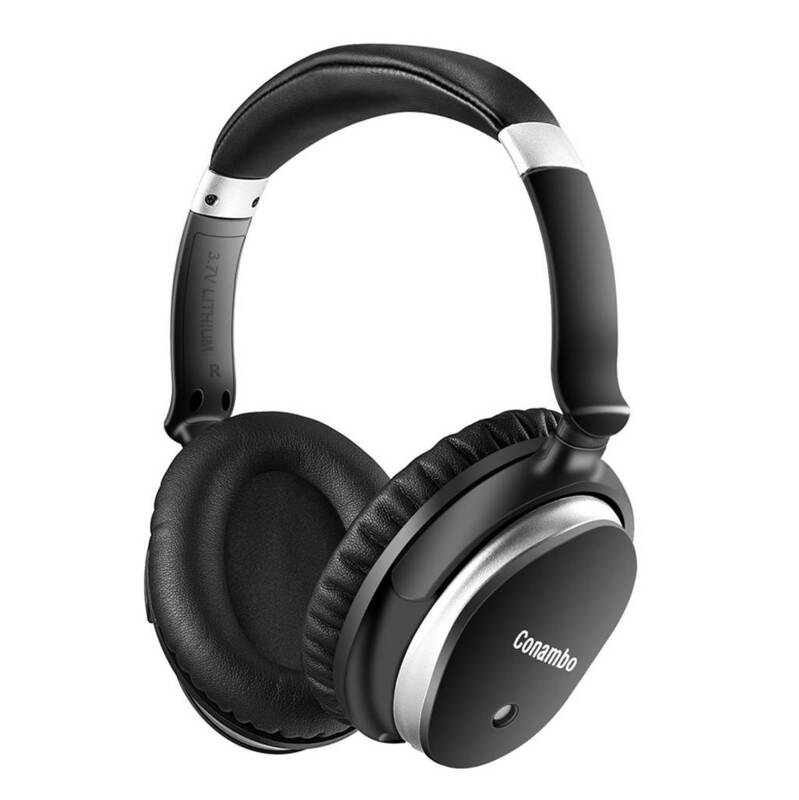 The Conambo headphones are a highly versatile set of Bluetooth noise cancelling headphones. They provide really good noise cancellation and effectively block out ambient background noise so that you can focus on your work or relax while travelling in the air. The acoustic drivers on these headphones produce very deep and dynamic music quality that sounds full-range; the bass response on these headphones is good but does not sound overwhelming. The Conambo headphones are built for comfort and are durable – it has a fully adjustable headband, foldable ear cups and plush ear padding cushion that makes these headphones very comfortable to wear for extended periods of time. It also comes with a built-in microphone for easy hands free calls and an airplane adapter. You can use these headphones in wireless Bluetooth mode or wired modes with the included 3.5mm audio cable. The battery life works well and it provides 8 hours of continuous music playtime or up to 40 hours of active noise cancellation (ANC only). It’s a really multi-functional and durable set Bluetooth noise cancelling headphones and we highly recommend them. The OUCOMI headphones are some of the best Bluetooth noise cancelling headphones that are highly portable and produce good sound quality. These headphones are equipped with active noise cancellation that can significantly reduce background noise by up to 20dB – they are portable and easy to travelling, working and for workouts. The headphones feature a built-in Bluetooth 4.1 CSR8635 chip that delivers a stable and consistent connection to your Bluetooth enabled device – the wireless music streaming has a good range of up to 33 feet. The headphone also comes with a high quality built-in microphone for hands free calls. It has a really comfortable and elegant design with protein ear padding and 90 degree swivelling ear cups. The entire headphone can be folded into a compact size and is convenient for travel or outdoor activities – we also liked the fact that it comes with a headphone storage bag for portability. The headphone also comes with a 360mAh battery which provides up to 12 hours of continuous music playtime with active noise cancellation. If you are looking for a really portable and well-balanced set of Bluetooth noise cancelling headphones, the OUCOMI headphones come highly recommended. The sound performance of the OUCOMI headphones sounded much better than expected. The headphones come with 40mm neodymium drivers and have a frequency range of 20 to 20kHz. The headphones have a sensitivity of 105 +/-3dB. The sound quality is crystal clear and well defined, and brings across the subtle details in the music beautifully. It does not produce any hissing noise with the active noise cancelling switched on which is great. The treble ranges on these headphones are crystal clear and well-defined, while the midrange frequencies are smooth and pleasant to listen to. Vocal performances sounded very clean without any harshness, with decent musical separation between the left and right channels. The bass response on the OUCOMI headphones is decent although nothing to shout home about – we noticed that the bass hits much harder with the active noise cancellation turned on. Musical performances and instrumental music genres sounded especially good with these headphones with the active noise cancellation – it feels as though you are sitting in a real life concert hall with plenty of soundstage. The design of the OUCOMI headphones is sleek and minimalist. They are really portable headphones that can be folded up and are rather lightweight for easy transport. The active noise cancellation works well to cancel out up to 18 to 23 dB of background noise – while it will not completely block out loud conversational noises, it works nicely for air travel and reducing noises in office spaces. The headphones come equipped with Bluetooth 4.1 for high quality music streaming and has a wireless streaming range of up to 33 feet. The headphones are rather lightweight and fit comfortably over the ears with smooth ear padding that feels comfortable to wear. The headband is fully adjustable and also has some padding to make it feel much lighter when worn over the head. The headphone comes with a built-in 360mAh battery that allows up to 12 hours of music playtime with active noise cancellation, although this might depend on the volume settings. Our only quibble with the OUCOMI headphones is that they require battery power to work even while using the wired mode. The entire package comes with the headphones, storage bag, 3.5mm audio cable, airplane audio adapter and a user guide for easy reference. The Verdict? The OUCOMI headphones are some of the best Bluetooth noise cancelling headphones with a fully portable design. The headphones can be folded into a very compact size which is convenient for travel and workouts; we liked the fact that it comes with a nice storage bag for easy portability. The Bluetooth connectivity on these headphones works like a charm and it also features Bluetooth 4.1 for consistent and stable connection for up to 33 feet. The active noise cancellation works well to reduce up to 20dB of noise, which provides a very quiet listening experience while travelling on the air or working in a noisy office. The headphones are very comfortable to wear with protein ear padding and 90 degree swivelling ear cups; they are very well-constructed and made of durable materials for extra support. The sound quality from the 40mm acoustic drivers is very crisp, with sharp details, smooth highs and good midrange frequencies – it has a frequency response of 20 to 20kHz which is rather full range. Overall, the OUCOMI are a very solid set of Bluetooth noise cancelling headphones and we highly recommend them if you are looking for portable noise cancelling headphones to take around with you on the go. The Axceed headphones are some of the best Bluetooth noise cancelling headphones in the mid-tier range that are highly value for money. It is a really solid set of headphones with fully integrated active noise cancellation that cancels up to 90% of ambient background noise for quiet listening. It comes with wireless Bluetooth streaming which provides very good sound quality while streaming music from android or iOS devices, and has a range of up to 30 feet. It also comes with a built-in microphone which provides hands free calls. There are also buttons on the right side of the headphone which allow you to control the volume, switch songs, answer and hang up calls on the go. We liked the fact that these headphones come with protein skin ear covers which are very comfortable to wear and enhance the sound isolation to prevent sound leakage and block out external noises. The headset is made of leather material and looks very premium and durable. They are the ideal headphones to take with you while travelling or working in the office and help to cancel out noises to help you focus. It’s one of the best Bluetooth noise cancelling headphones in the mid-tier range and we highly recommend them. The sound quality of the Axceed headphones is greatly enhanced by the active noise cancellation which removes low-frequency sound waves and noises; it provides a really good soundstage while streaming music to these headphones. The ear cups engulf your ears with immersive and dynamic sound quality that makes these headphones very enjoyable to listen to. Vocal performances sounded very clean and crisp, with nice texture and layers of detail. Instrumental music sounded refined and smoothly reproduced – you get a pretty good sense of where each musical instrument is coming from while listening to these headphones with the active noise cancellation turned on. The highs and treble ranges are nicely reproduced, while the midrange frequencies are smooth. The bass response hits hard and does not sound overwhelming or bloated. 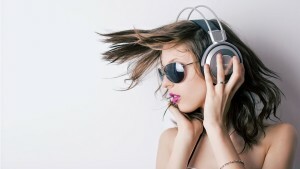 Electronic dance music sounded crisp and punchy with good texture and details. Wearing these headphones while traveling on the air provides a really clean listening experience while keeping out external noise and engine rumble. Music sounded crystal clear when streamed directly from our mobile device via Bluetooth. We were quite surprised at how good the overall audio quality from the Axceed headphones was considering their price range. The Axceed headphones have a really sleek and durable design with long lasting battery life. The battery life lasts very long and delivers up to 16 to 20 hours of music playtime depending on the volume level. The active noise cancellation technology works well to cancel 90% of buzzing noise and create a good soundstage for a full-range listening experience. Wearing these headphones on the plane or in the office was very comfortable; it comes with plush ear padding and a nice headband which feels very comfortable to wear. The headphones are lightweight and feel stable when worn on the head. It supports both wired audio connections and wireless Bluetooth streaming with portable mobile devices; we did not experience any dips in sound quality while streaming music to the headphone. We also liked the fact that the Axceed headphones come with a built-in microphone which supports hands free calls; it also comes with side controls which allow you to switch soundtracks, pause/play music and answer calls on the go. The entire package comes with the Bluetooth headphones, auxiliary cable, USB charging cable, velour cloth bag and a user manual for easy reference. The Verdict? The Axceed headphones are some of the best Bluetooth noise cancelling headphones that deliver great sound quality and up to 20 hours of battery life. 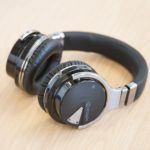 The active noise cancellation on these headphones works very nicely to cancel out ambient background noise and provide a peaceful listening experience – it’s great for travelling or for working in a noisy office environment. The active noise cancellation reduces low-frequency noises to provide a clean listening experience. The headphones are very comfortable to wear and are designed with comfortable ear pads with protein skin which feel soft on the ears. The headset is made of leather material and the entire headphone looks aesthetically pleasing and sleek. The skin ear covers enhances the sound isolation of the headphone which creates an immersive listening experience. The sound quality of the Axceed headphones is really crisp and well-defined, with nice midrange frequencies and good bass response. The battery life can deliver up to 16 to 20 hours of continuous playtime which is really good. Overall, the Axceed headphones are some of the best Bluetooth noise cancelling headphones that deliver really smooth sound performance in the mid-tier range and we highly recommend them. The Plantronics headphones are a really good set of Bluetooth noise cancelling headphones with an incredible 24 hours of battery life. These headphones are capable of producing fully immersive audio quality and high-resolution sound; they are equipped with powerful speaker drivers that deliver really rich bass, crisp highs, natural midranges and good tonal ranges. The active noise cancellation works very well when switched on and reduces ambient noise and conversational noises while working or travelling. The headphones provide up to 24 hours of continuous music playtime on a single charge which is really good. The Bluetooth connectivity on these headphones is excellent; we did not experience any lags or dips in sound quality while streaming music directly to these headphones. The ear cups can swivel and fold up for portability and fit into a travel bag easily. These headphones also give you the option of connecting two devices at the same time and switch between them. Overall, the Plantronics are a solid set of Bluetooth noise cancelling headphones with very good battery life and we highly recommend them. The audio quality on the Plantronics headphones is really good. The highs and mids are crisp and clear, and the bass response is tight without sounding too overwhelming. The bass on these headphones feels full-bodied and punchy; you can crank up the volume on these headphones without getting any distortion which is really good. Vocal performances sounded very smooth and crisp, with natural midrange tones that come across as refined. Electronic dance music sounded right off the bat punchy and very enjoyable to listen to without any harshness. Rock and hip-hop sounded equally good and well-defined. The sound quality on the Plantronics headphones sounds full-range and covers a wide audio spectrum pretty well. It also has an open-listening mode which allows you to listen to your surroundings while the headphone remains switched on. The sound quality that you get with the Plantronics headphones is full-bodied and crystal clear; you get really detailed sound that feels enjoyable to listen to and can be heard at any volume level. We did not experience any hissing noise with the Plantronics headphones with the active noise cancelling switched on which is really good. In terms of design, the Plantronics headphone is extremely sleek and comfortable to wear. It comes with soft ear padding made of faux leather that goes around the ears and a nice cushioned headband that distributes the headphone weight evenly across the head. The headband has perforated mesh which is breathable and very comfortable to wear. The Bluetooth connectivity on these headphones is top-notch and consistent; we did not experience any dips or lags in sound performance with these headphones. The controls are located conveniently on the side of the headphone and easy to configure; it also has an LED light that indicates the level of battery power which is really convenient. Pairing these headphones with a mobile device is very easy and it also has useful voice prompts which indicate when the headphones are paired. Where these headphones truly shine is in the battery life – it can hold up to 24 hours of continuous music streaming with active noise cancellation which is superb. We liked the fact that these headphones have tilt sensors that automatically pause your music when you take these headphones off your head which is pretty cool. The active noise cancellation works like a charm and reduces ambient background noise effectively, although the noise cancellation is not a strong as we liked it to be. That being said, these headphones are still very comfortable to wear and deliver very good sound performance. The Verdict? The Plantronics headphones are some of the best Bluetooth noise cancelling headphones with very strong battery life of up to 24 hours. These headphones have a really sleek and high quality design, with comfortable faux leather ear pads and padding on the headband that make these exceptionally comfortable. The audio quality that you get with these headphones is superb, with crisp highs, very nice midrange frequencies and deep bass response. Music performances sounded right off the bat punchy and well-defined; the headphones perform very well for bass-heavy music genres and deliver clear vocal performances. The battery life on these headphones lasts an incredible 24 hours and recharge via the cabled connection. The headphones are foldable to fit into a travel sleeve for easy portability. The Bluetooth connectivity on these headphones works like a charm and allows you to answer calls and listening to music on the go. It also has an open-listening mode which allows you to listen to music while allowing some external sounds into the headphone which is useful to hear incoming traffic on the road. 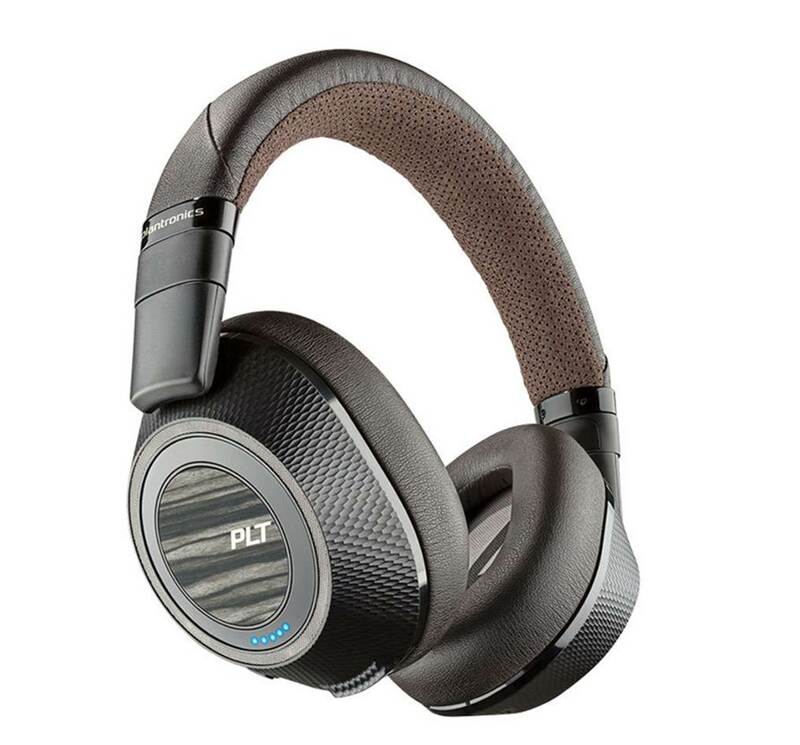 Overall, the Plantronics headphones are some of the best Bluetooth noise cancelling headphones with superb sound quality and battery life and come highly recommended. The Sony WH-1000XM2 is one of the best Bluetooth noise cancelling headphones that delivers high resolution sound quality and comes with smart listening adaptive sound control. The headphone detects your activities in the environment and adjusts the ambient sound accordingly; it also gives you the option of downloading the Sony headphone connects app for android or iOS to customize your listening experience. The headphones come with active noise cancellation which helps to eliminate distracting background noises for a quiet listening experience. It also comes with touch controls which allow you to skip tracks or change the volume on the go. The headphone comes with a built-in battery which provides a long period of active noise cancellation and continuous music playback. You can use these headphones wirelessly or through the wired mode by connecting it to your mobile device via an auxiliary cable. It also comes with a built-in microphone and a phone voice assistant for hands free calls. The headphones are pretty comfortable to wear and feature an adjustable headphone with soft ear pads. 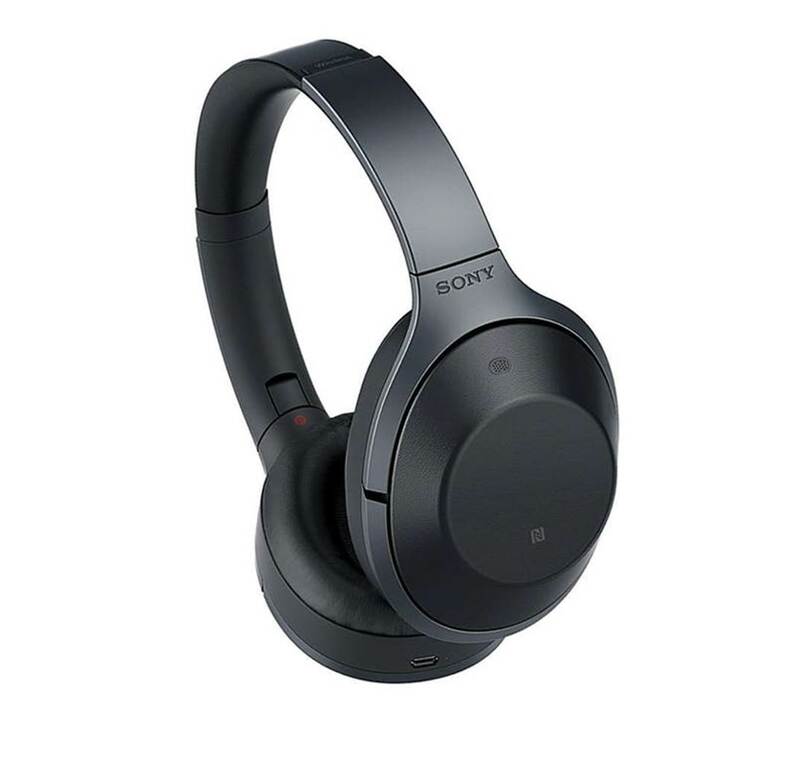 Overall, the Sony WH-1000XM2s are some of the best Bluetooth noise cancelling headphones with really dynamic sound quality and come highly recommended. The Verdict? The Sony WH1000XM2 is one of the best Bluetooth noise cancelling headphones that delivers high resolution sound quality. The sound performance that you get with these headphones is top-notch, with full-range sound quality that covers most of the audio spectrum. The highs and midrange frequencies are crisp, clear and well-defined. The bass hits hard but does not sound overwhelming – you also get considerable amount of midrange clarity with these headphones. Vocal performances sounded clear and very well defined. The active noise cancellation on these headphones work like a charm – it can block out background noises effectively and reduce the noise level to a bare minimum, which makes it really good for office listening or for travel. We liked the Sony app that comes with these headphones which allow you to adjust the EQ settings and sound quality of these headphones according to your musical tastes. The headphones are pretty comfortable to wear although it might take some time for the headband to loosen up. Overall, the Sony WH1000XM2s are deliver really good sound quality and are a solid pair of Bluetooth noise cancelling headphones that are definitely worth checking out. The TREBLAB Z2 headphones are one of the best Bluetooth noise cancelling headphones with superb wireless music streaming and active noise cancellation. The active noise cancellation on these headphones are capable of reducing noisy ambient background sounds from travel or office spaces; this allows you to listen to music quietly while focusing on your work. The Z2 features Sound 2.0 technology with aptX for high quality music streaming – it also comes with fully integrated 40mm speaker drivers. The headphones are designed to be really comfortable; the earpads are made of premium ultra-soft materials which have an ergonomic design for a natural fit. It also has a built-in microphone and controls for you to change the volume, soundtracks, pause or play music easily. They are ideal for workouts and gym use and stay secure on the head. The headphone also has a battery life that delivers long lasting performance and the Bluetooth connectivity extends up to 38 feet away. You also have the option of connecting to these headphones using the auxiliary cable for wired mode. Overall, The Z2 Headphones are some of the best Bluetooth noise cancelling headphones you can find for workouts and we highly recommend them. The sound quality of the Z2 headphones was pretty good, with crisp highs, detailed midranges and deep bass responses – the sound quality improves considerably after turning on the active noise cancellation and we did not notice any static noises while the active noise cancellation was turned on. The sound quality is comparable to much higher-end headphones that we have tested – vocal performances sounded crystal clear and detailed, while instrumental music was detailed with good musical separation. We liked the fact that the Z2 headphones pick up the subtle details in the music and has pretty good soundstage with the active noise cancellation turned on. Electronic dance music and bass heavy genres sounded tight and punchy, and provide plenty of drive for gym and running workouts. You can really crank up the volume on the Z2 headphones and not get much distortion which is really good. Our overall impressions of the Z2 headphones are that the sound quality is very crisp, clear and well-balanced for most music genres. If you want a good headphone with crisp sound quality, it’s definitely hard to go wrong with the Z2 headphones. The Z2 headphones have a pretty sleek and minimalist design. Straight out of the box you can tell that the headphone and headband are made of premium quality materials and tough plastic. The ear cans feel slightly shallow although the ear padding is spacious and comfortable. The headband exerts some clamping force on the head which might need some time to loosen up, although the headphone rests securely on the head without falling off during workouts. The battery life on these headphones is incredibly powerful – you can use them for hours on end and they will still work. The active noise cancellation works nicely to cancel out ambient background noise as well as conversational banter; they are really enjoyable to wear while working out in the gym or just sitting in the office to focus on work. The headphones have a full ergonomic design with ear-cups that swivel to provide the best listening position; they also tilt for a customized fit. The headphone has a built-in microphone which allows you to take calls on the go, as well as on board controls to adjust the volume level and soundtracks. The wireless Bluetooth is compatible with both iOS and Android devices. The Verdict? The TREBLAB Z2s are a solid set of Bluetooth noise cancelling headphones for gym and workouts. They deliver really crisp and clean sound quality, with clear treble ranges, smooth midrange and good bass response through its 40mm neodymium drivers. Vocal performances and instrumental music sounded distinctly clear and the acoustic drivers does the job of emphasizing the subtle details in the music pretty well. We liked the fact that these headphones come with an active noise cancellation that works very well to reduce outside ambient background noise and conversational banter – this helps you to focus while in the office or gym. Apart from good sound quality, these headphones do not distort at high volume levels and we did not experience any static hiss with the ANC turned on. The headphones are relatively lightweight and comfortable to wear; they also come with swivelling earcups which tilt for a customized fit. The Bluetooth connectivity and aptX streaming works like a charm and we did not experience any dips in sound quality while streaming music from our mobile device. Overall, these are some of the best Bluetooth noise cancelling headphones you can get for workouts and gym use, so don’t forget to check them out! The Linkwitz headphones are an excellent set of Bluetooth noise cancelling headphones that deliver very good hi-fi stereo sound quality, with crisp highs, deep bass response and clear midranges. These headphones come equipped with active noise cancellation which reduces surround background noises for air travel or for work by to 87%. They also come equipped with 40mm large-aperture drivers which provide extended frequency range and dynamic bass response. The headphones are designed to be really comfortable to wear with memory protein ear pads that can swivel up to 90 degrees, as well as an adjustable headband for a customized fit. 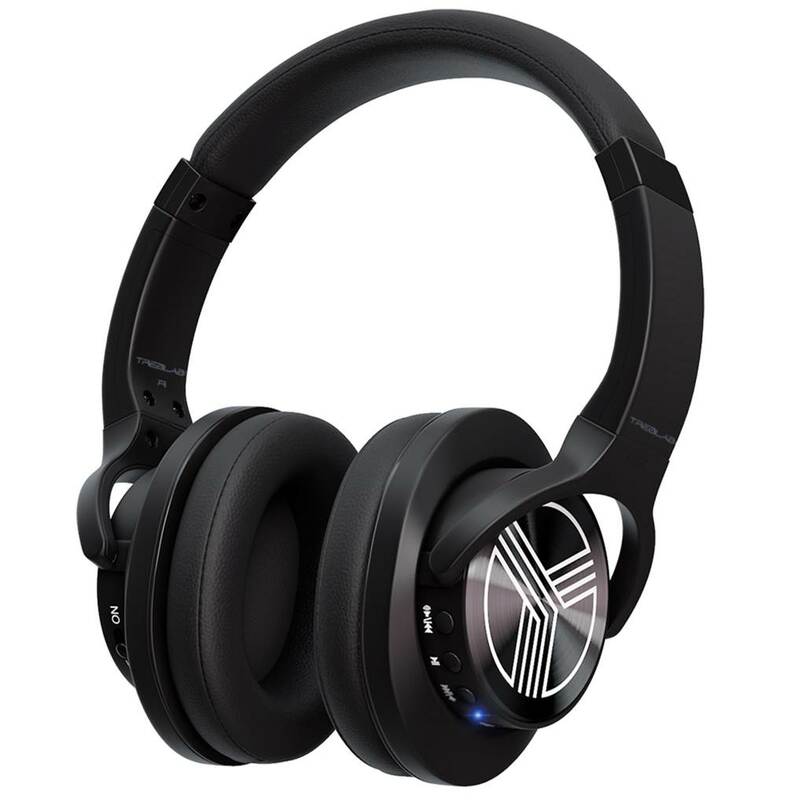 We liked the fact that these headphones come with a long-life polymer battery that delivers between 14 to 18 hours of continuous music playtime and 240 hours of standby time with the active noise cancellation switched off. The headphones uses CSR Bluetooth 4.0 for high quality music streaming and can connect to virtually any Bluetooth-enabled mobile device without any issues. Overall, it’s one of the best Bluetooth noise cancelling headphones that delivers really good stereo sound quality and we definitely recommend them. We liked the overall sound signature of the Linkwitz headphones. These headphones have plenty of depth and clarity, and are able to replicate the subtle details in the music nicely. The highs and treble ranges are crisp, the midrange is present and the bass response is tight and punchy. You can hear that the sound is geared towards the lower-midrange and bass frequency ranges, which make bass-heavy music genres come alive with these headphones. Instrumental performances were surprisingly clear and well-articulated – you can hear the musical separation of instruments and get a sense of where each instrumental sound is coming from. Vocal performances were nice and smooth without any harshness; the sound was reproduced naturally without sounding artificial or hollow. The bass response on these headphones is tight but does not flood into the midrange frequency ranges. In terms of stereo sound quality, these headphones differentiate between the left and right channels accurately with well-balanced sound. You can tell where the sound effects are coming from if you use these headphones to watch movies with your TV or tablet. The Linkwitz headphones have a pretty comfortable design and durable construction. The ear pads are designed with plenty of cushion which allow you to wear these headphones for extended periods of time without feeling fatigued. The ear pads are stitched from faux leather and go over the ears nicely which provides a good degree of sound isolation. The headband is also well padded and provides good support when worn over the head. The headphone comes with a built-in microphone which you can use to take hands free calls on the go which is convenient. The active noise cancellation works like a charm and effectively blocks out ambient background noises and some loud noises – it works independently from the Bluetooth streaming so you can use these headphones purely for noise cancellation. We like the option of being able to use the wired mode with these headphones when the battery power is running low. The Bluetooth connectivity works well up to 33 feet. The headphones have a 300mAh capacity battery which provides a good 8 hours of active noise cancellation or up to 16 hours of music playtime with the ANC switched off. The entire package comes with the noise cancelling headphones, 3.5mm audio cable, micro USB charging cable, storage case and user manual for easy reference. The Verdict? The Linkwitz headphones are a really good set of Bluetooth noise cancelling headphones that deliver superb stereo quality sound. These headphones are capable of suppressing background noise by up to 87% to provide a comfortable listening experience. It produces very good stereo sound with crisp highs, nice midrange and deep bass and provide a really full-range listening experience. The active noise cancelling on these headphones works very efficiency and is ideal for air travel or office use to block out noisy conversational banter. The headphones come with an integrated polymer battery that delivers between 14 to 18 hours of continuous music playtime and 240 hours of standby time. It also has a comfortable and soft ergonomic over-ear design with faux leather ear padding. You can wear these headphones for hours in the office or at the gym without feeling ear fatigued. The headphones feature Bluetooth 4.0 for high quality music streaming, and also gives you the option of using wired 3.5mm audio cable connection with non-wireless music sources. Overall, the Linkwitz headphones are some of the best Bluetooth noise cancelling headphones that rivals that of higher end headphones in this category and we highly recommend them. The Esonstyle is one of the best Bluetooth noise cancelling headphones that delivers very good natural sound. The active noise cancelling on these headphones are capable of reducing ambient background noise by 90% and block out noises from traffic, conversational banter or office noises. It is equipped with an advanced Bluetooth CSR8635 chip for high quality music streaming; the headphone drivers can deliver deep and immersive sound quality at any volume level. The Esonstyle headphones come with 90 degree swivelling earcups and a retractable headband design with soft high-quality memory protein ear pads that provide lasting comfort. You can use these headphones in wireless or wired modes with a 3.5mm auxiliary cable. The headphone also comes with a lithium polymer battery that delivers up to 12 hours of continuous music playtime via Bluetooth; you also have the option of using the audio cable when the battery power is low. Overall, the Esonstyle is one of the best Bluetooth noise cancelling headphones you can find on a budget and we highly recommend them. The sound quality that you get with the Esonstyle headphones is really crisp and clean. The highs and treble ranges are well-defined, with the midrange sounds smooth and detailed. The bass response is decent although nothing to shout home about; the bass is punchy but does not overwhelm the midrange frequencies. The headphones produce very good sound quality at any volume level and you and also crank up the volume on these headphones without experiencing any distortion. Classical music sounded smooth and detailed with these headphones; you can hear the subtle details in the music reproduced with distinct clarity. Vocal performances sounded warm without any signs of harshness. Rock and hip-hop music was enjoyable to listen to, although the lower-midrange frequencies were less pronounced that we hoped. Listening to classical and instrumental music on these headphones produced studio-like quality sound with a natural sound frequency reproduction. The active noise cancellation also makes the sound feel much more rounded and detailed, with a certain degree of soundstage. In terms of sound performance, it’s hard to go wrong with the Esonstyle headphones. In terms of design, the Esonstyle has a minimalist and sleek design that is very comfortable to wear. The ear pads are well padded with soft cushion and they rest well over the ears without causing fatigue. The padding at the top of the headband is soft and helps to distribute the weight of the headphone evenly. The battery life on these headphones is excellent and can provide up to 12 hours of continuous music playtime on Bluetooth mode. When we tested the noise cancellation on these headphones, it effectively blocked out ambient background noise and traffic noises and it feels as though you are sitting in a quiet room while listening to music. They work well for air travel and effectively block out engine rumbling noise. These headphones support both wired and wireless modes and you can turn the active noise cancellation off if you just want to use the auxiliary cable for your music. We liked the fact that these headphones come with 90 degree swivelling earcups and a retractable headband design which provides extra portability. The entire package comes with the noise cancelling headphones, micro USB charging cable, 3.5mm audio cable, airplane adapter to connect to in-flight entertainment systems and a carrying case. The Verdict? The Esonstyle headphones are some of the best Bluetooth noise cancelling headphones with natural sound quality. These headphones are built with comfort in mind and feature high-quality memory protein ear padding for easy wearing. The ear-cups are capable of swivelling 90 degrees and the headband is retractable to provide a customized fit. The headphone has a built-in rechargeable lithium battery that delivers 12 hours of continuous playtime while on Bluetooth mode. We did not experience any dips in sound quality while streaming music over Bluetooth connection – you can also crank up the volume close to maximum and these headphones will not distort. We also did not experience any hissing noises with the headphone when the active noise cancellation is turned on. The sound quality that you get with these headphones is crystal clear, clean and detailed, with a good emphasis on classical and instrumental music genres. You can hear each note and instrument clearly and tell where the sound is coming from. The active noise cancellation also works well to cancel outside noises and deliver a full listening experience. Overall, the Esonstyle headphones are some of the best Bluetooth noise cancelling headphones you can find on a budget and come highly recommended.